and sunny as it was in my part of the world – Surrey in the UK! one of my customers, which was so my style, i.e. clean and simple! the new catalogue, but I slipped up when it came to using dies! the sentiment over the “join” of the branches using Dimensionals. 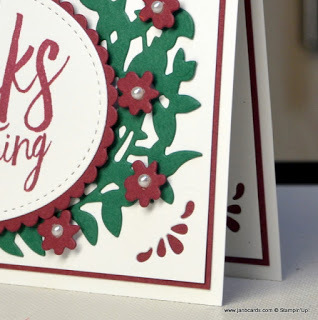 was die cutting the four corners, as I did to the front of the card. off getting 100 catalogues ready to be posted later this morning! Hi, Geraldine. 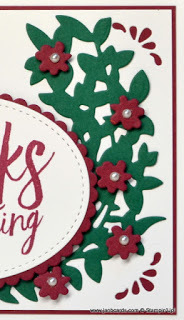 Everytime I look at this card I think Christmas! I think it would look less Christmassy if I'd used a more delicate die for the greenery e.g. 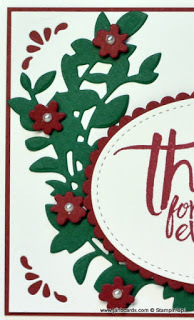 Petals & More Dies. They are both great colours! ☺ Happy crafting, JanB. Hi, Lorraine. 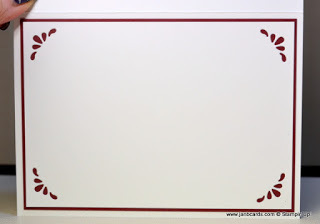 I'm pleased you like this card. 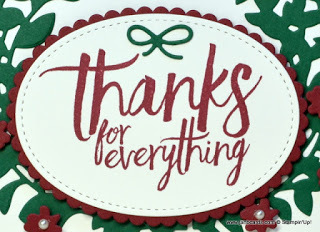 I think as a Thank You card, it's a very special TY as there's a lot of work gone into it. 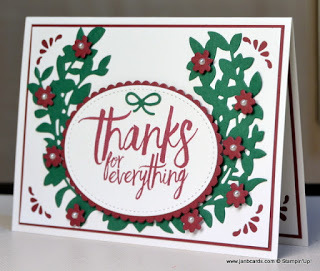 TY cards are always special cards, but there are times when someone does something over and above where we need an extra-special card. ☺ Happy crafting, JanB.